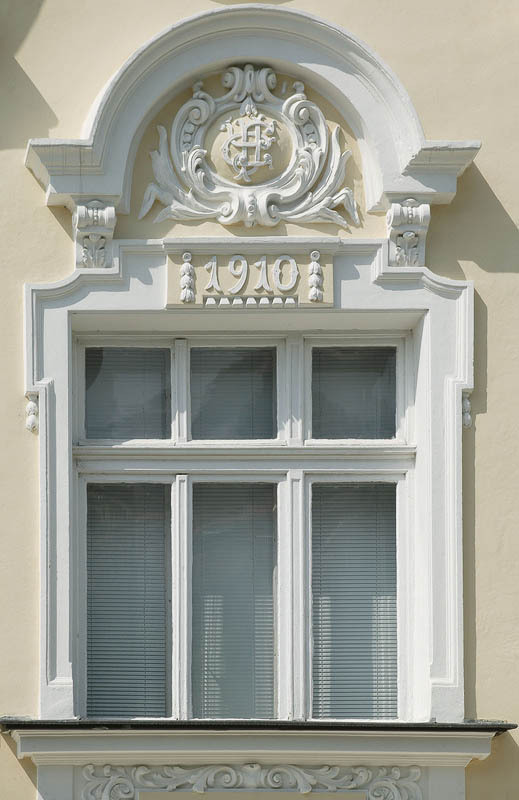 Window with ledge, white joinery and beautiful decoration on yellow facade of building. Architectural detail. Window with plaster frieze.